As Bozeman looks to attract new talent and to retain MSU grads, finding housing for those new to the work force can be a challenge. Affordable housing is a hot topic in Bozeman. One solution can be house hacking. House hacking is a term often used by millennials and younger investors to describe renting out rooms in a home they own. Essentially, one would purchase a 3-bedroom home, rent out 2 of the rooms, and live in the 3rd. Average rents for a one-bedroom apartment in Bozeman are pushing north of $1100 per month. Three-bedroom apartments range between $1500 and $1800, with averages around $1700. A single room in a house can rent anywhere between $500 and upwards of $700 or even $800, depending on location and amenities. If the homeowner in this scenario could rent 2 of those bedrooms for $600 each, they would end up only having to cover $300 each month. That’s a savings of $800 per month versus renting a one-bedroom apartment for $1100. That savings can translate into $9600 per year. According to a 2016 Census Bureau study, the median household income in Bozeman is $48,612. Adding an extra $9600 per year to that is the equivalent of a nearly 20% raise. 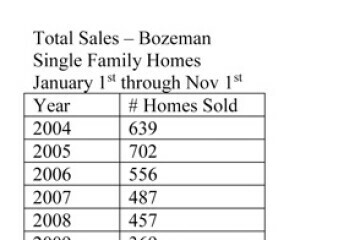 As usual, I have included data for the number of single-family homes sold in Bozeman during the first nine months of 2018. 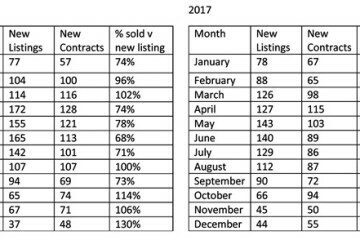 In addition to the 769 homes sold during this time period, another 157 homes are currently pending, or under contract, as of the date of writing this article. The included data reflects sales of homes in the greater Bozeman area, including Four Corners, Gallatin Gateway, Bridger Canyon, and Bozeman city limits. The data includes home sales reported through the local Big Sky Country MLS and does not include private party sales, Condominiums, or Townhouses. Tim Ford is a Realtor® with Bozeman Brokers Real Estate in Bozeman Montana. He can be contacted at 406-209-1214.